Score Energy Drink has taken the support of local talent to another level aligning the launch of new triple charged Score Black with South African hip hop sensation, Kwesta. Watch this fresh Score remix with a triple shot of Guarana turn up the beat and light up at hip and happening hangouts. It’s South Africa’s first energy drink in a can with a UV ink logo that glows in the dark. 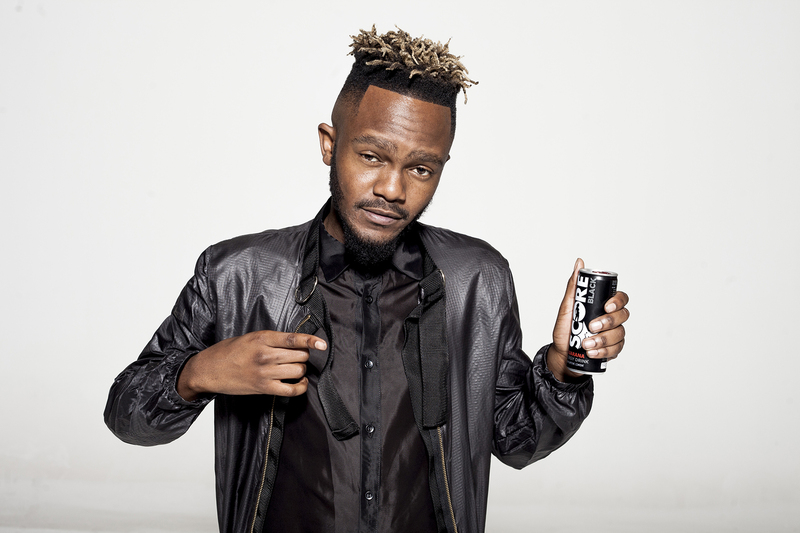 Shooting for the stars with Kwesta, Score Black is giving two lucky fans the opportunity to double their power in joining him in the USA in November to become part of one of his latest music videos. With the release of two new exciting international collaborations, Kwesta is sure to set the hip-hop world on fire. His first, “Spirit”, features American mega rap star Wale. This will be followed by “So Drunk”, with multi-Grammy nominated hip-hop mogul Rick Ross, Colombian reggaeton top dog, J. Balvin, and Canadian Tory Lanez. The winners will receive an all-expenses paid trip to the USA to feature in one of the music videos and rub shoulders with these legends of hip-hop. Catch the lowdown at www.scorewithkwesta.com before 3 November and make sure your passport is up to date. Kwesta who built his street cred in Katlehong on the East Rand has always been true to his roots. He has a deep connection to the people of his home town who dubbed him K1 God. He has held the No.1 spot in the South African music sphere for the past year with smash hits “Ngud” and “Ngiyaz’fela Ngawe” – with both tracks going multiplatinum. At the 2017 South African Music Awards (SAMA), Kwesta bagged no less than four awards including Male Artist of the Year. 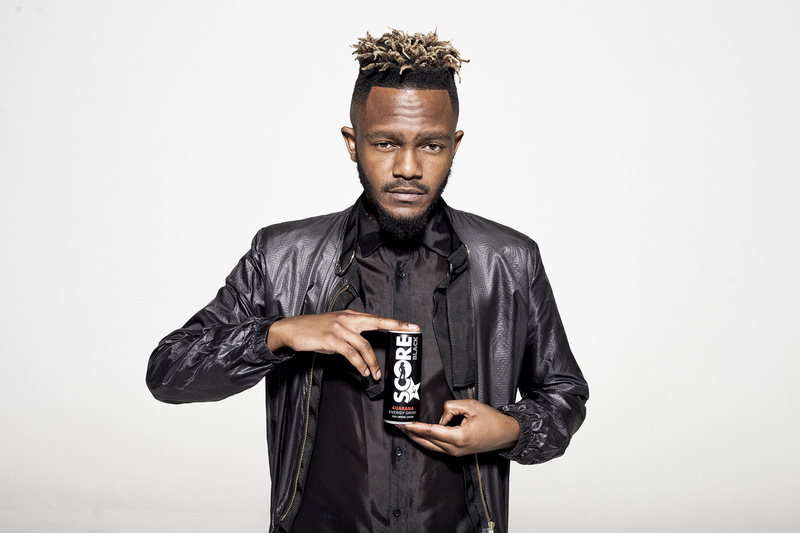 “Kwesta is a real example of how hard work and dedication can lead to success. He is someone that we can all be extremely proud of. 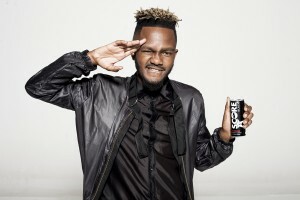 As a true South African brand, we place tremendous value on our relationship with Kwesta and his label Raplyf Records and together we will continue to grow in the hearts and minds of South Africans,” says James Shaw, Brand Manager of Score Energy Drink. New Score Black has a triple shot of Guarana and a healthy dose of B vitamins to give you an epic power kick to keep on track all night. Being Taurine free, it leaves you with a great aftertaste that fans have come to love. If mixology is your game, new Score Black goes down ever so smoothly with vodka. 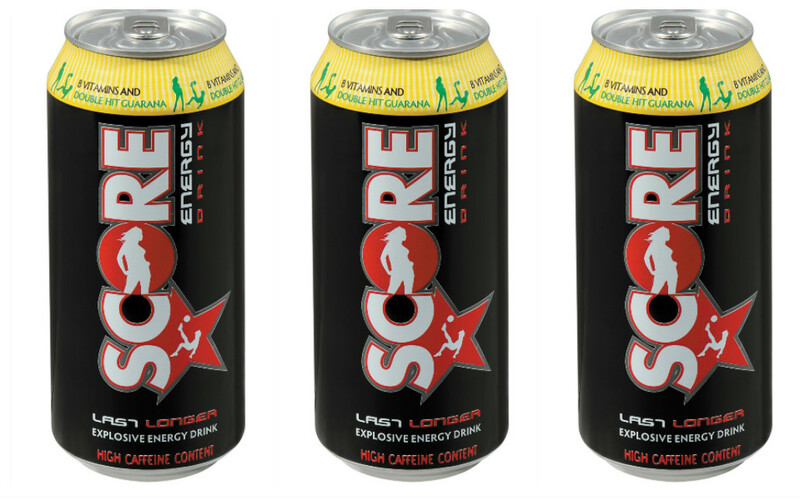 Own the limelight and be seen with new Score Black in 250ml slim cans selling at around R11, 99. It also comes in Score Zero, a sugar-free alternative.